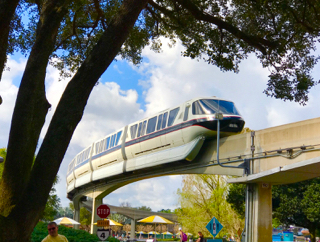 The only park that the monorail travels thru is Epcot. Guests get a preview of Future World before arriving at the Epcot station. I took this shot a few days ago, from the area in front of Test Track.